We’re looking at the history of artificial grass because we know it has such a fascinating backstory that it simply adds to its charm. Once you know how far artificial true has come over the years, you’ll be amazed at its versatility and charm. Artificial grass goes back to the early sixties with its incarnation as AstroTurf. Following this it was then used at baseball fixtures in America in the mid-sixties. It was an early, crude version of artificial grass, which is far more realistic and better made today. In the seventies the surface was introduced in Europe with polypropylene rather than nylon fibres because it was more comfortable for players. The surface was softer as a result and far better to play on, and to make it even more of an advantage polypropylene was cheaper to buy, with the tufts being closer together, making it lusher and more grass-like. However, there were still some teething problems with little to no control over the ball. This would then lead to the development of a more sophisticated surface in the late seventies. Artificial turf went through its rejuvenation with new designs, instead of the carpet like thickness of the close fibres, they were then placed further apart with longer strands and this then made for a firmer and more stable surface. Other sports weren’t so keen at the time, and many weren’t impressed with its authenticity and felt it was a poor replacement for natural turf. For many, they simply preferred the real thing. On the new artificial grasses, falling over and sliding could still result in quite painful injuries with deep cuts and many sports venues weren’t prepared to take the risk. Artificial turf would develop over the years to become the sophisticated surface it is today, and it’s now used for both sports and recreational activities more than ever before. It’s also being used for more residential and indoor use too. 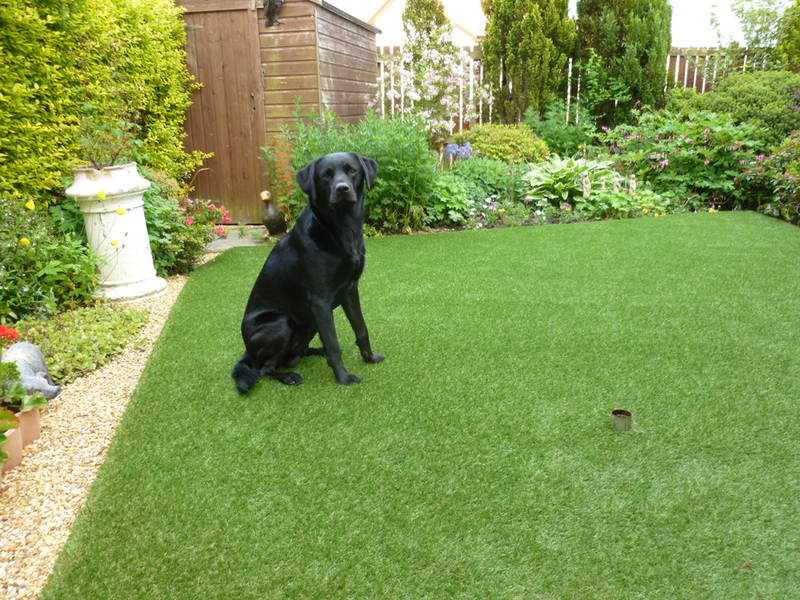 Homeowners are now coming to realise the benefits of artificial grass and having it installed in their gardens. It certainly makes a change from the hard work of a natural grass lawn and all that it entails. 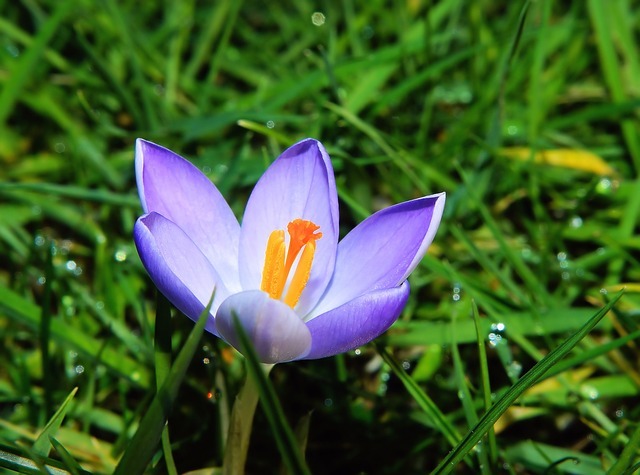 Artificial grass is now also used in schools and nurseries, and it can really help with costs in the long run after the initial investment, as there is no weeding, mowing or replanting of seeds. 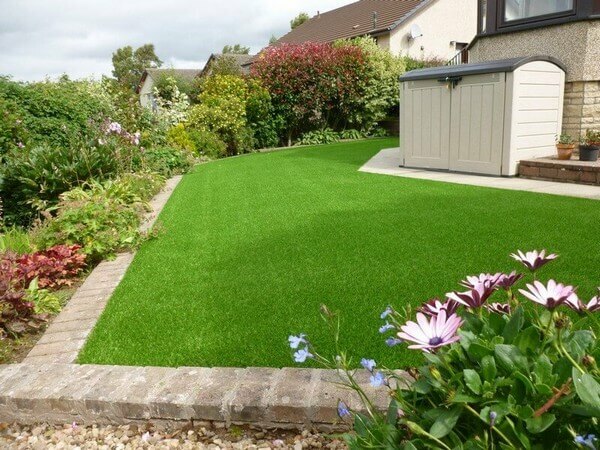 If after hearing the story of artificial grass you now feel you’d like to have it installed in your garden, why not get in touch with us here at The Turf Shop. 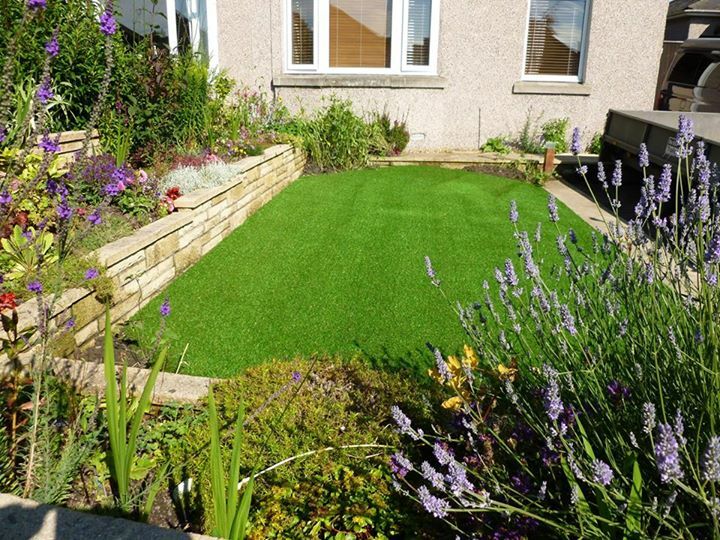 We have an impressive and versatile selection of artificial grasses for your perusal and we know we’re bound to have something that suits your garden perfectly.